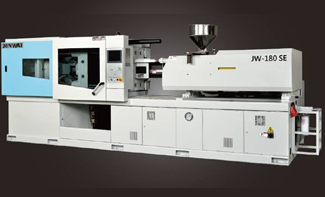 Jonwai TW model has been introduced successfully to global thin wall package industry for past decade. 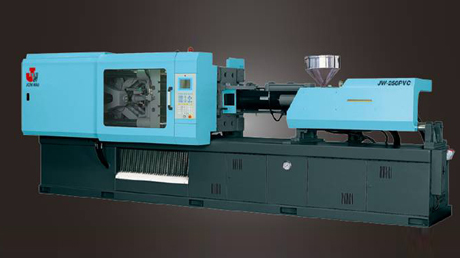 Up to now there are more than 2000 sets of TW machines in global service, providing customers high quality & economical thin wall molding solution. The update SET model inherited the advantages of TW model & futher enhanced functions to make it more suitable for thin wall industry wich are. Fast Movement due to the 5-Point internal clamping system. 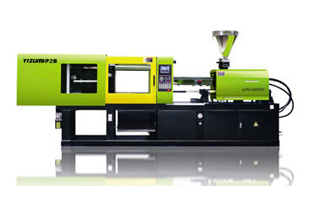 JONWAI-30 years of leading experience in multi-resin molding technology In 1982, JONWAI introduce the 1st 2 –color injection molding machine in Taiwan, Through decades on R&D in multi-resin injection technology, JONWAI have successfully developed several methods of multi-component injection. These unique technology afford our customers more diversify either production pattern or product designs. JONWAI sincerely hope these updaye milti-resin injection technology could assist our customers. Higher Products Added Value, Increasing production Cost. 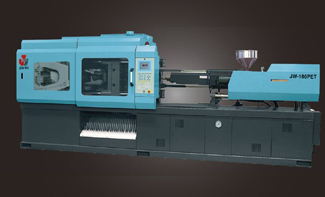 The main applications of TCS model are marble-like molding & sandwich molding. Jonwai accumulate considerable experience in join-nozzle design & manufacturind. 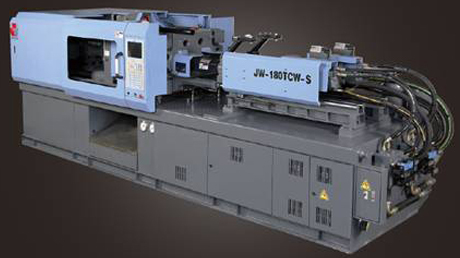 Through the join-nozzle and special sequence, JONWAI TCS model offer stable marble-like or sand witch injection. V Shape Piggy-back Injection Units with Separate nozzle. The CF-series fit a center force and external acting five points double toggle clamping to give long efficiency and reliable movement. 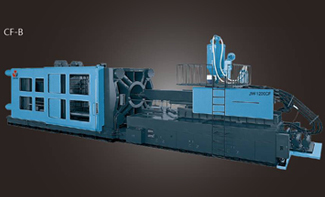 The series machines with large inner tie-rod distance and thickened platen can minimize the toggle pressure, lower deformation, and increase the structure rigidity and reliability. Optimize your production need, the CF-series offer for various kinds of material and different design of screws. 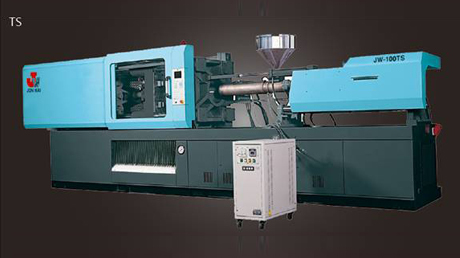 The usage field of CF-series include automotives, housewares, electronics, appliances and furniture, for any specific demand on production machinery. 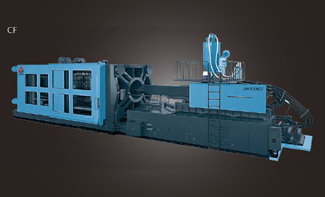 Jonwai CFB-series machine can easily be conﬁgured for various applications by combining a large range of clamp and injection unit, providing high speed mold opening/closing and dual function selecting the optimum installed power level, constructing with the high base to automatic drop, adding special design or high mixing screw with enlarged L/D ratio to 25:1, to increase plasticizing speed and specifying process control features. The series’ machines offer the high RPM / low torque for housewares and furniture, low M.I. value of P.P. or RE. resins. Generous dimensions between tie bars accommodate very large mold or the molds with core cylinders and sliders. The toggle moves the platen very quick and quiet. The finite-element-analysis of the platen rigidity warrants a stiff frame as well as minimum platen deflection. 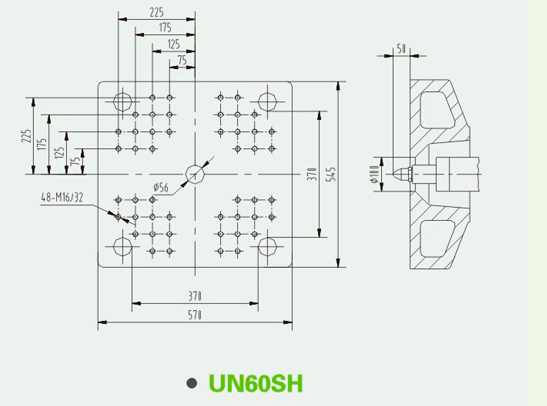 External acting five points double toggle clamping to give long efficiency and reliability. The robust platen supports based on precision linear guiding provide best platen parallelism to the clamping unit. High platen parallelism and no tilting or offset. No risk of contamination for the products. Ample space in the ejector area. Ion-nitrided injection screw and barrel for the ultimate in wear resistance. Injection unit movement is done by two hydraulic cylinders linked to front platen, this ensured the absolute alignment of nozzle. 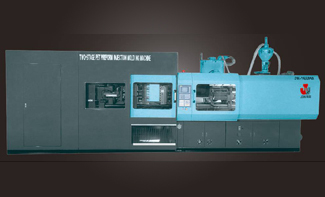 High injection pressure assure a further improvement in quality and stable precision molding. 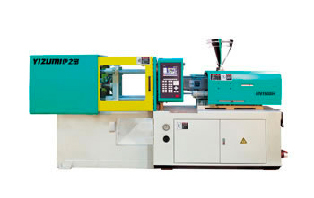 The direct screw drive with high torque ensures constant speed improving the precision molding. Screw stroke position monitored by an optical encoder. Plasticizing tailored to the application. Matching the screw to the material. Quick-change system for the barrel. Differential circuit added onto clamping and injection action. 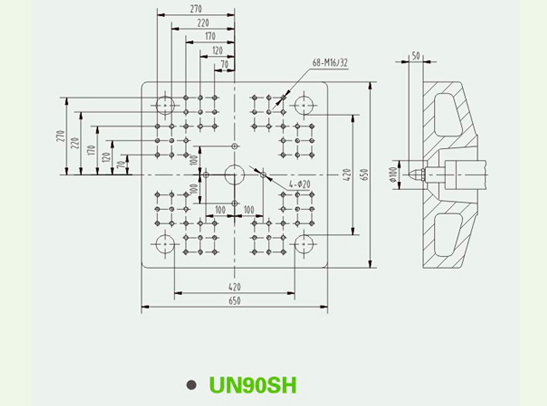 High sensitive low pressure protection circuit design. High efficiency cooler stabilize the oil temperature. Hydraulic safety device with control system and mechanic parts. Special dsigns of double-circuit and or compound action in circuit design for selection in variable products. 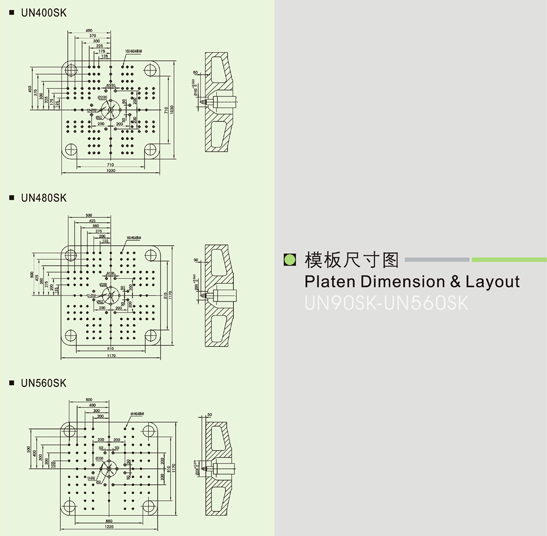 The microprocessor controller greatly eases the task of setting molding conditions because the setting panel is consolidated into the control panel. The condition setting uses beautifully sharp which features a multifunctionpage format that meets widely diversified needs. In addition to displaying actual values in graph from and various quality control function, the panel further enhance ease of operation through simple data input and window-like display of malfunction messages. Mold clamping 4 zones each pressure speed control. Injection 6 zones pressure speed control. Hold pressure 4 zones pressure speed control. Charge 3 zones pressure speed control. 14 selections for machine action parameter span control. 2 groups core pressure, speed & time, or 1 group unscrew, 1 group core action. 1 zone oil temperature control, 7 zone barrel or mold temperature. The PET -series offer a complete package for the production of PET preform, based on the simple economic and in-line screw design for easy-to-operate. Aside from the PET machine, the package includes mold, robotic handling system, granule drying system, recirculating air conditioning for the mold, and refrigeration system. The usage ﬁeld of PET-series is wide and suitable for wide mouth jars (16 cav./1252--), vast and 5-gallon bottles (4cav. ), cosmetic bottles, water bottles (32 cav. ), cooking oil bottles (8 cav. / 3L), and so on. Low acetaldehyde (A.A) levels for best preform quality. Vlﬁde range application to meet your production needs. Economic and easy-to-play for your production. Special screw designed are beneﬁts for plasticizing. 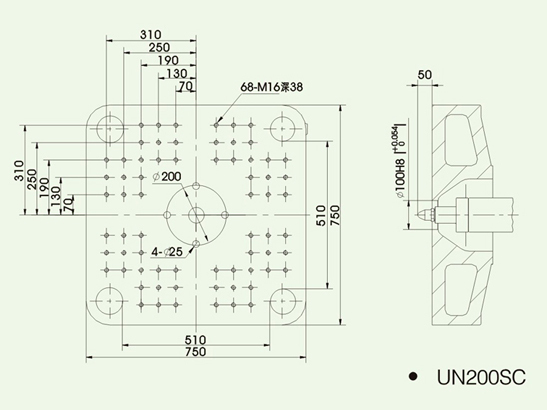 An optional choice of screw diameter is wide and suitable for production needs. The injection piston with twin-end support can enhance the linear ability of movement. The sliding guide-bars design with two-cylinders ensure the nozzle center on line. The toggle clamping system, with the enhanced and thickened platens of Box-like structure, can lower deformation and eccentricity, and increase the structure rigidity and reliability. The latest friendly computer control system with LCD display screen. 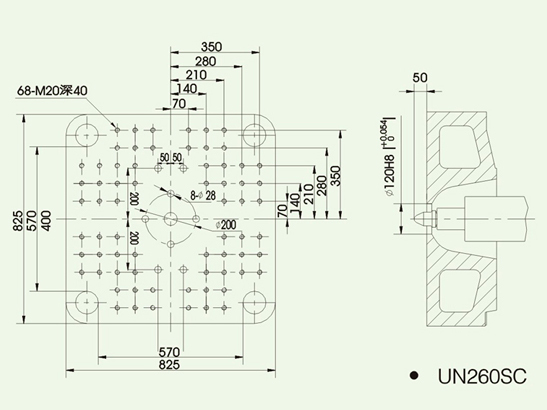 Low A.A levels and very high throughout with outstanding melt quality are ensured by PM-series. PM-series provide the high performance of the injection unit and precise for high productivity with help of the robotic handling system to reduce the cycle time. 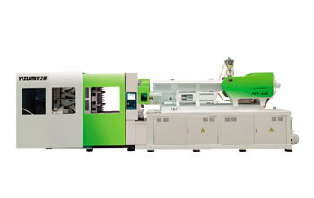 Aside from the injection machine, the Preform system is a turnkey production system including mold, robotic handling system, granule drying system, recirculating air conditioning for the mold, and refrigeration system. 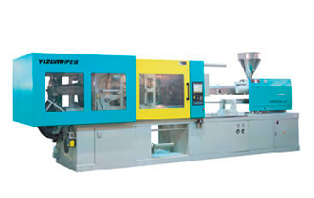 Two-stage injection unit consists of one screw for pre-plasticizing and one plunger for injection. LOW AA levels and very high trough put with outstanding melt quality are ensured by the injection unit’ s 25 D high- performance screw. The separate shooting pot can get a wider range of shot size. Without the use of check-ring, It can escape the unstable injection and increase the precision of shooting. Low acetaldehyde (A.A) levels for best perform quality. Fast and precise for high productivity. Compact to save space for your down stream equipment. Custom ﬁt to meet your production needs. Enlarged ejector system and longer ejector stroke is especially designed to match the ejector requirement of PET preform. The external ﬁve points double toggle system and thick platens design can distribute the clamping force evently to the mold. With the sensitive mold protection device, it well prevent damage to molding surface components. 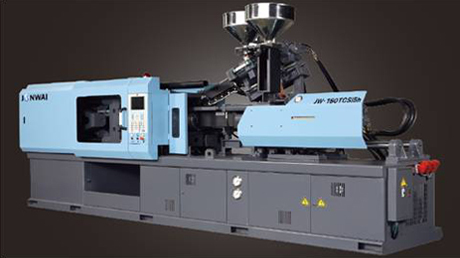 Jonwai successfully established a classic model - SD series for general purpose molding in 2001.SD unique combination of flexible, reliable & universal in application already set a perfect paradigm in molding machine industry. 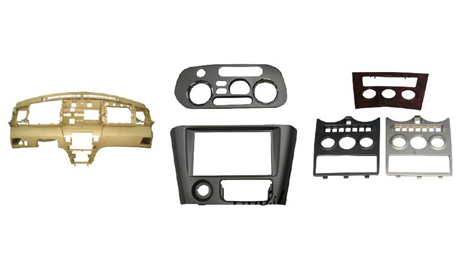 Over the years the global molding industry condition have changed, precise speed & lower illrate are highly demanded. Jonwai deeply recognized these changes and now presenting the next generation of high performance universal application model--- SE Series. 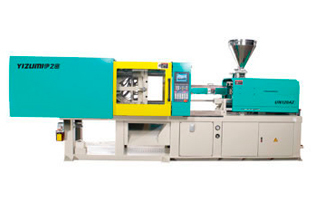 The update SE model inherited the advantage of SD model & further enhanced functions to make it more suitable for nowadays plastic molding industry. 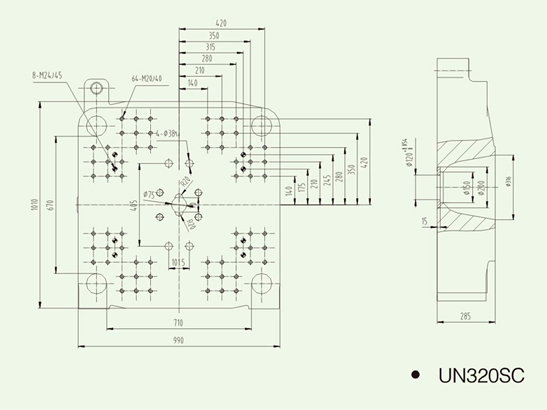 The flexible design of SE series make it easier toexpand to SE2 model & SE3 model to meet customers' precise and complicated molding requirements. High injection speed and capacity. High response of computer & hydraulic. Unique & Intelligent control of process. Window Based simple operation panel. Easy Programming & Clear Overview. The flexible design of SE series make it easier to expand to SE2 model & SE3 model to meet customers' precise and complicated molding requirements. Solid IQC system before machine assembly and delivery. Fast Movement due to 5-Point internal clamping system. 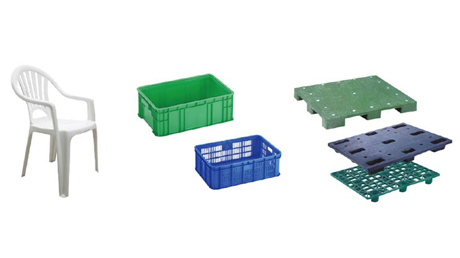 Solid Box-Like structure mould closing unit, rigidity & strength improved with F.E Analysis. Window based operation panel with clear overview monitoring page & integrated sequence display. 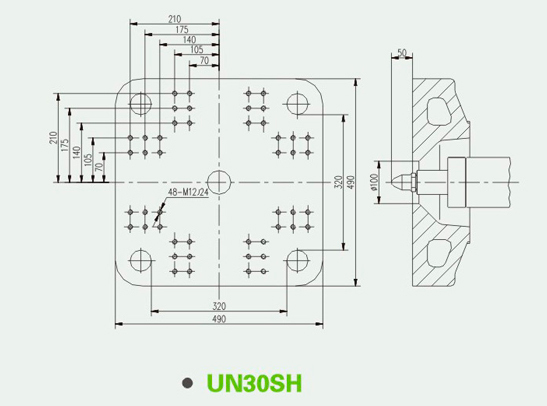 Quick response hydraulic system coordinate with Jonwai unique servo power unit, response time only at 50 ms.
4 Cylinders design injection system allow high-pressure / low-speed or low-pressure / high-speed Injection choice. 2 cylinders sliding guide bar ensure nozzle center on line. 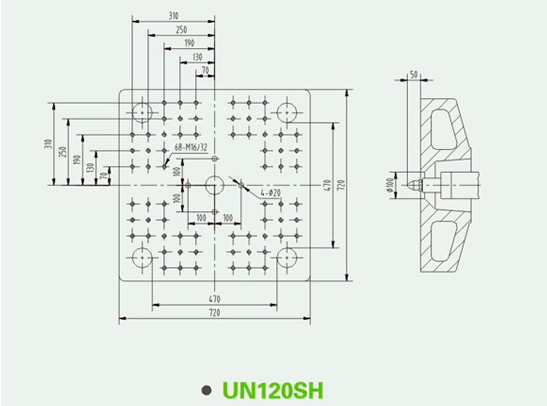 Injection position with twin-end support enhance the linear Injection movement. The CF-series fit a center force and external acting five points double toggle clamping to give long efficiency and reliable movement. 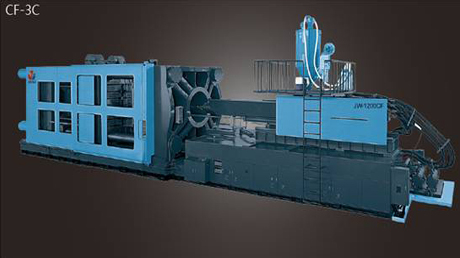 The series´machines with large inner tie-rod distance and thickened platen can minimize the toggle pressure, lower deformation, and increase the structure rigidity an reliability. 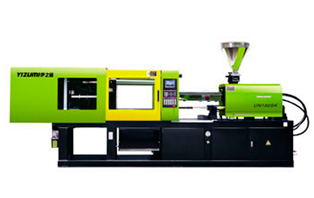 Optimize your production need, the CF-series offer for various kinds material and different design os screw. The usage field of CF-series include automotives, housewares electronics, appliances and furniture, for any specific demand on production machinery. 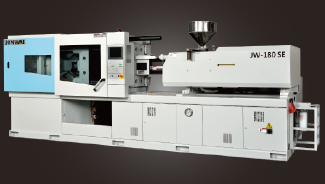 The microprocessor controller greatly eases the task of setting molding conditions because the setting panel is consolidated into the control panel. The condition setting uses beautifully sharp which features a multifunction page format that meets widely diversified needs. In addition to displaying actual values in graph from and various quality control function, the panel further enhance ease of operation through simple data input and window-like display of malfunction messages. 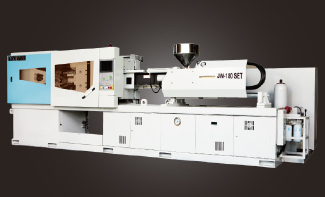 Jonwai succesfully established a classic model-SD series for general purpose molding in 2001 SD unique combination of flexible, reliable & universal in application already set perfect paradigm in molding machine industry. 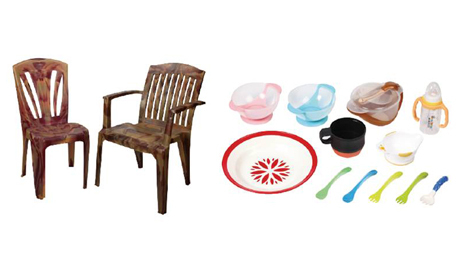 Over the years the global molding industry condition have changed, precise speed & lower illrate are highly demanded. 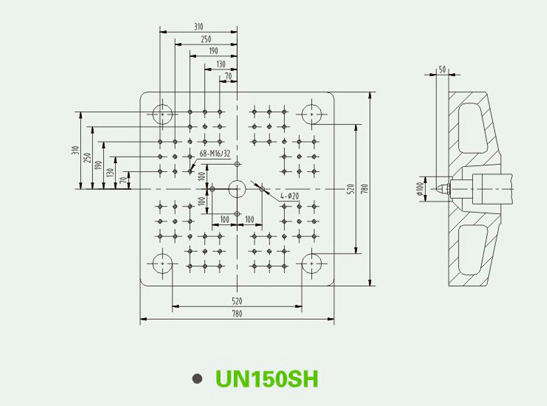 Jonwai deeply recognized these changes and now presenting the next generation of high performance universal application model - SE Series. 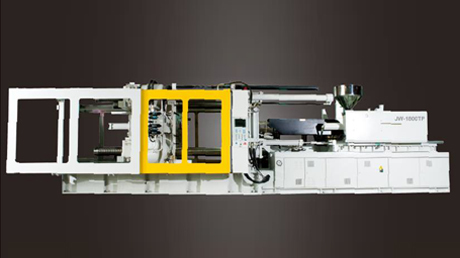 The update SE model inherited the advantage of SD model & further enhanced functions to make it more suitable for nowadays plastic moulding industry. The flexible design of SE Series make it easy to expand to SE2 model & SE3 model to meet customers' price and complicated mplding requirements. The flexible design of SE Series make it easier to expand to SE2 model & SE3 model to meet customers' price and complicated mplding requirements. Introducción Básica:La "serie A2" de máquinas de precisión de moldeo por inyección fue lanzada al mercado en el año 2006. Comparada con la serie A que salió en el 2002, ésta es más avanzada y completa. La serie A2 no solamente heredó todas las ventajas, la tecnología de respuesta rápida y control preciso, y el ahorro de energía de la otra serie, sino que, ahora disfruta de mejoras en la repetibilidad, rapidez del plastificado, consumo de energía y ruido de la máquina. Con todas estas ventajas y la implementación de técnica líder, la serie A2 de máquinas de precisión de moldeo por inyección esta capacitada totalmente para moldear componentes electrónicos, aparatos de telecomunicaciones, electrodomésticos, carros y sus componentes y muchos otros productos. 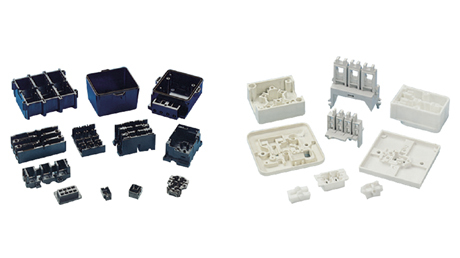 Aparatos de seguridad mecánicos, eléctricos e hidráulicos, sistema de lubricación automática para el ajuste de altura del molde, Control computarizado STAR importado de Japón, sistema de bomba de desplazamiento YUKEN/REXROTH de circuito cerrado, apoyo de inyección integral, sistema de plastificación eficaz, sistema CPU de control individual para la temperatura. Tiene también la función de apertura de pre-moldeo. Diseño optimizado de platina con alta rigidez y espacio ampliado entre columnas. Diseño basado en Euromap, platina con dos ranuras en T y orificios de emisión. La localización del diseño esta en una placa móvil para adaptarse mejor a varios moldes. Nuevo diseño del sistema de expulsión más largo, con más espacio y mayor rigidez. Sistema de engranajes ajustado a la medida de diferentes alturas para que se adapte a diversos moldes. Nuevo diseño de tornillo para tener un mejor efecto de plastificación y mezcla. Diseño especial para el ensamblaje de la cabeza del tornillo. El sistema de lubricación central asegura el mantenimiento de la máquina convenientemente. Se ofrece una variedad opcional de tornillos especiales para materiales específicos. La bomba de desplazamiento con bucle cerrado responde rápidamente en un tiempo menor a los 50 ms para la presión del sistema y el flujo. Una mejor tubería hidráulica para menor pérdida de presión y un sistema más eficiente. Aceite que indica la temperatura y alarma. Sistema de by-pass de filtro para controlar el nivel de contaminación manteniéndolo bajo NAS8. Mirle MH9118 control computarizado de Taiwán. El control de frecuencia se realiza a 140 MHz y el tiempo de exploración en 1 ms, con una respuesta rápida y de alta precisión. Puede guardar 240 juegos de moldes y se puede transferir el material con interfase USB. Control de calidad de la producción con SPC. Control de temperatura con PID. La serie SK no solamente tiene las ventajas de las máquinas de moldeo por inyección a nivel internacional con la bomba de caudal variable, el diseño para ahorro de energía, y la baja emisión de ruido, sino que también mejora su consumo de energía, la calidad del plástico y la repetibilidad. Con estas ventajas de tecnología líder, la serie SK es la mejor opción de compra para las máquinas de moldeo por inyección. En comparación con otras máquinas de inyección, en general, las máquinas de la serie SK ahorra entre un 20% y un 80%. Adoptando un sistema hidráulico importando con componentes electrónicos de reconocidas marcas, elaborada con equipo japonés y bajo estricto control de calidad, la estabilidad de esta máquina ha sido mejorada. Con un tornillo de doble hélice, se asegura un plastificado de excelente apariencia. Con la mejor técnica para controlar el ruido, la máquina funciona con el mínimo sonido permitido. Con componentes como Rexroth de Alemania / Yuken de Japón, la bomba de caudal variable tiene un sistema automático que ajusta presión y fluidez. Reconocidos mecanismos le dan confiabilidad y larga vida útil. La válvula hidráulica bloquea dejando escapar poca presión. Sistema de filtro By-pass para controlar la contaminación bajo NAS8. El ahorro de energía hidráulico economiza 25% a 50% que el sistema con la bomba de caudal variable tradicional. El sistema de control de temperatura con aceite, prologa la vida de las piezas selladas. Introduction: Ha sido especialmente diseñada y desarrollada para ser una máquina de alta velocidad para el moldeo de empaques de productos como tapas, tarros de comida rápida y otros empaques de material delgado. Posee avanzada tecnología, diseño razonable y excelente desempeño con un ciclo de menos de cinco segundos por molde. El fortalecimiento de su diseño mecánico garantiza un movimiento estable y rápido. El aceite de baja fricción para las piezas selladas mejora la respuesta de la máquina. Alta precisión en el control del sensor de la fuerza de cierre. Sistema de expulsión ampliada para la salida rápida de productos con cavidades múltiples. Base de inyección integral con riel de guía. Sistema ampliado de refrigeración para acortar el tiempo de enfriamiento. Cojinetes lubricados de la platina móvil y de la barra de unión, llevando la contaminación al mínimo. Plastificación y expulsión durante la apertura del molde. Dispositivo de protección altamente sensible para baja presión del molde. Monitorización de temperatura con aceite y alarma. El tornillo L/D con un radio de mas de 24:1 para mejor efecto de la plasticidad. Equipo de control Barber-Colman de USA. Un acumulador impulsa los movimientos de la máquina. Un control de inyección de bucle cerrado detiene o suelta la apertura del molde o su cierre. Introducción: Heredando las grandes ventajas de configuración simple, fácil operación, larga vida útil, mantenimiento conveniente, bajo costo de operación y alta sensibilidad de protección del molde, ventajas de las normales maquinas hidráulicas. Empleando una rotación del sistema de fijación directa y una nueva solución hidroeléctrica, esta serie ha sido lanzada para tener una mejor respuesta de inyección y un funcionamiento superior. 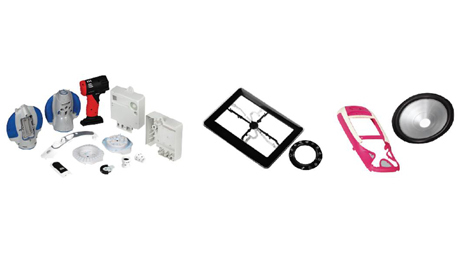 La serie SH es perfecta para la producción de estuches de teléfonos móviles, partes eléctricas de los aparatos de comunicación, accesorios para DVD y otras piezas de precisión de los productos audio-visuales. rotación del sistema de fijación directa, (patente No. ZL 2004201023214) fuerza de sujeción precisa pasada uniformemente al molde. Bajo consumo de energía, al mismo nivel de las máquinas completamente eléctricas. Baja emisión de ruido, al mismo nivel de las máquinas eléctricas. El rango de velocidad de inyección es de 1mm/s a 400mm/s. Rápido inicio, se toma 46 ms y el tiempo de respuesta de la presión es de 40 ms.
Es capaz de retener la presión por largo tiempo comparado con las máquinas completamente eléctricas. Posee mejor capacidad de repetibilidad y estabilidad, comparada con las tradicionales maquinas hidráulicas. Sistema de Cierre DirectoNo causa daño al molde. La transmisión de la fuerza es uniforme. Los rodamientos bajo la platina movible aseguran el paralelismo entre las platinas. Protección altamente sensible con baja presión para el molde. Espacio suficiente para moldes grandes. Rápido movimiento de moldes realizado por dos cilindros hidráulicos y dos mecanismos de rotación de cierre directo. Corto tiempo para la siguiente presión y exactitud en el paralelismo de las platinas. El sistema de cierre y su fuerza se detectan por un sensor sensible asegurando la alta repetibilidad. :Nuevo sistema de cierre de rotación, doble cilindro y rieles lineales aseguran la presión del molde uniformemente, bajo alta presión del cierre y a gran velocidad de inyección. El servomotor y el pistón de desplazamiento mejoran la velocidad y presionan constantemente con alta repetibilidad para mayor producción con constante presión. El motor se para cuando no hay moldes para presionar, de esta manera la energía se ahorra. Pantalla 10.4" TFT LCD con control CPU. Máximo cuatro idiomas de control. Visualización de velocidad y presión de la inyección. 10 ms para escanear y 1 ms para cortar asegura la rápida respuesta de la máquina. 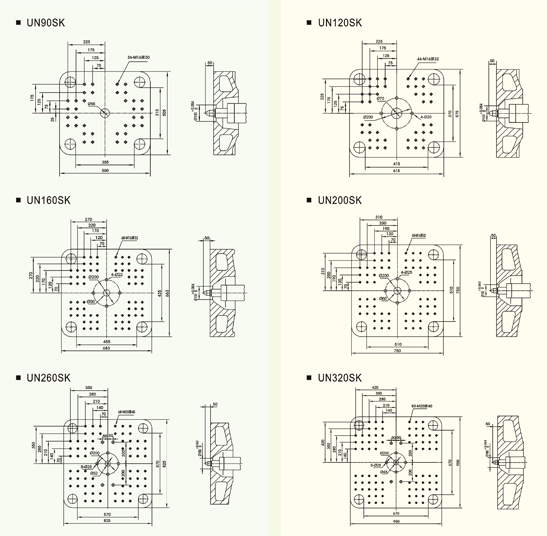 Configuración de la presión puede ser en medidas de porcentaje, bar o Mpa. Conexión CAN BUS entre el tablero I/O y otras partes. Utiliza tarjeta CF para transmisión de datos y programas. Posee alarmas de monitoreo y movimiento, la máquina se apaga inmediatamente cuando se dispara la alarma. La página con datos se puede descargar en la tarjeta CF para fácil transmisión. 100 diferentes tipos de configuración y mensajes de alarma pueden ser almacenados. Nuevo sistema de cierre de rotación, doble cilindro y rieles lineales aseguran la presión del molde uniformemente, bajo alta presión del cierre y a gran velocidad de inyección. 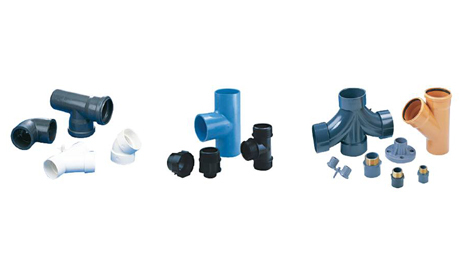 UPVC tornillos y barril especiales para un mejor plastificado. Sistema proporcional de bomba de caudal variable que ayuda a ahorrar hasta un 30% de energía. Motor hidráulico para moldes más grandes. Ventilador para enfriar el barril y llegar a una temperatura adecuada. Dos juegos de dispositivos de tracción.